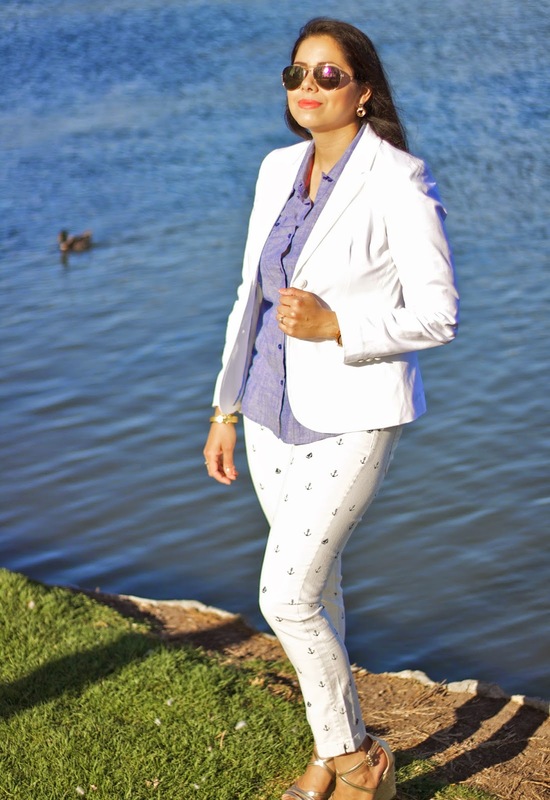 It's time to start dreaming about a lovely weekend, and what better outfit than one that includes a chambray, anchor printed pants and wedges? Today I bring you another look styled head to toe with Tommy Hilfiger, an outfit composed of all versatile pieces and staples. 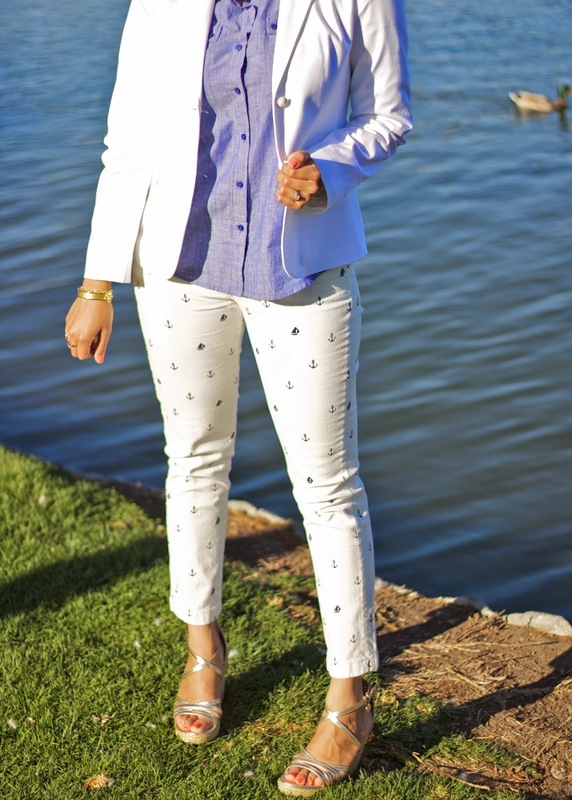 I have fallen for the fit and feel of this blazer, it can really polish a look. These Tommy Hilfiger Wedges are so comfortable, they actually have a cushioned sole which to me is a big PLUS. I love these pants and you styled it perfectly! I WANT THIS ENTIRE OUTFIT! THANK YOU! LOL! PAU YOU LOOK BELLA, BELLA! oh, Paulina, you are splendidly got up! That white suit is simply stunning, fits you perfectly well:) The location is also very beautiful and picturesque, it's a real pleasure to scroll down your photographs!